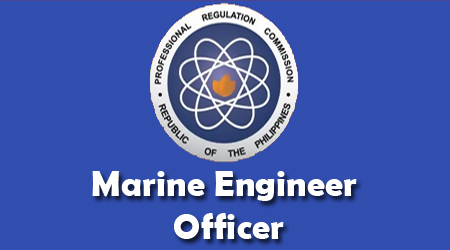 The PRC officially released the results of the Marine Engineer Officer licensure examination held in Manila and Iloilo on February 13-14, 2013. The Chief and Second Marine Engineer Officers together with Officer-In-Charge (OIC) of an Engineering Watch exam results will be available here. All Takers of Marine Engineer Officer may now expect the official results a few days after the examination dates. PRC will also announce the date and venue for the oathtaking ceremony after they released the results. You can view here the Top 10 Marine Engineer Officer for February 2013 upon availability. For the meantime, I would like to suggest to bookmark this page and visit this page more often, you can share it also on your Facebook wall, follow us on Twitter and subscribe our news feed via Email for latest updates. Comments or suggestions about "February 2013 Marine Engineer Officers Board Exam Results" is important to us, you may share it by using the comment box below.